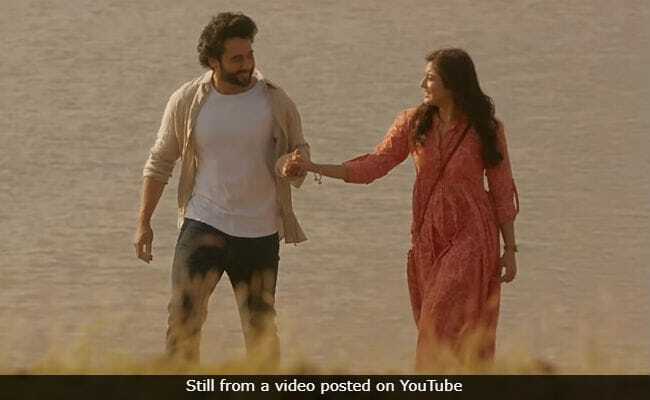 Jackky Bhagnani To Lata Mangeshkar On Chalte Chalte Controversy: "Ma'am, Please Listen To The Song Once"
Jackky Bhagnani says that the song (Chalte Chalte) is "moving with time"
Days after Lata Mangeshkar dismissed the remake of 1972's classic Chalte Chalte, for upcoming film Mitron, without hearing it, the film's actor Jackky Bhagnani requested the 88-year-old singer to listen to song as their intention is not to "spoil the sanctity of the song," reports news agency PTI. In a statement, Jackky Bhagnani said: "Ma'am please listen to the song once and if you still think the same then, of course, your wish is our command," adding that he understood why Lata Mangeshkar may have found the trend of remixing old classics "amusing." Lata Mangeshkar, who sang Chalte Chalte for Pakeezah, had earlier told news agency IANS: "This trend of remixing old songs saddens me. Where is the creativity in simply lifting acknowledged, beloved classics and shuffling the notes around? I've even heard that the lyrics are changed in the remixes. By whose consent?" In his statement, Jackky Bhagnani added: "In our country, Lata Mangeshkar, Sachin Tendulkar, and Amitabh Bachchan are legends... so if Lata ji has commented, then it is correct. I am sure she has a perception and according to her perspective, she is not mistaken. She is a senior person and must be amused at why the songs are being remixed so often these days, why aren't new songs being created," reports PTI. Chalte Chalte was originally composed by Ghulam Mohammed while it's remix version was recreated by Tanishk Bagchi and sung by Atif Aslam. Speaking about Chalte Chalte redux, Jackky Bhagnani added: "The song is moving with time. My father's favourite song is Chalte chalte but when I visited Coimbatore recently, someone came up to me and complimented saying 'What a song Chalte chalte is from your film', because they don't know the original. So we are taking them back to Chalte Chalte, we are not spoiling the sanctity of the song." Mitron, directed by Nitin Kakkar, also features television actress Kritika Kamra. The film will open in theatres on September 14.